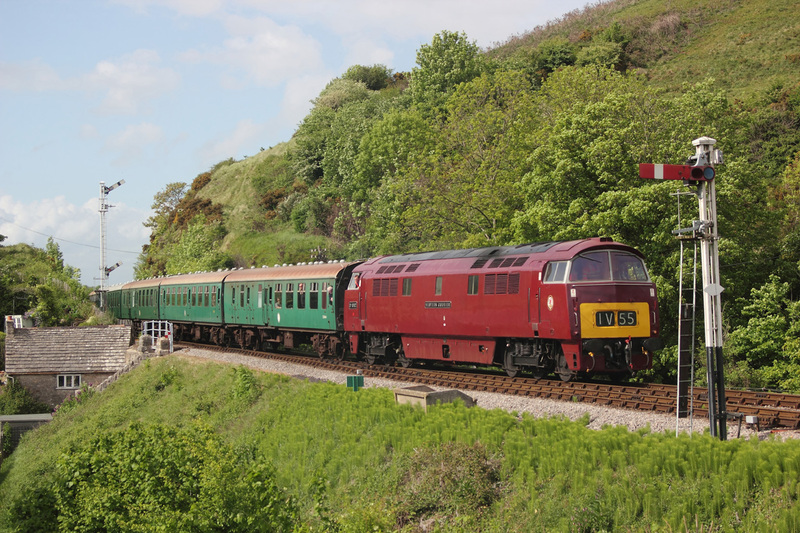 08/05/11 Swanage Railway's Diesel Gala,Corfe Common..D1062 "Western Courier"1S23..17.10 Norden to Swanage. 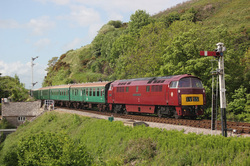 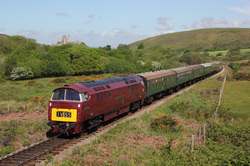 08/05/11 Swanage Railways Diesel Gala,Corfe Common,D1062"Western Courier"1N15..15.30 Norden to Harmans Cross. 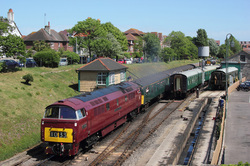 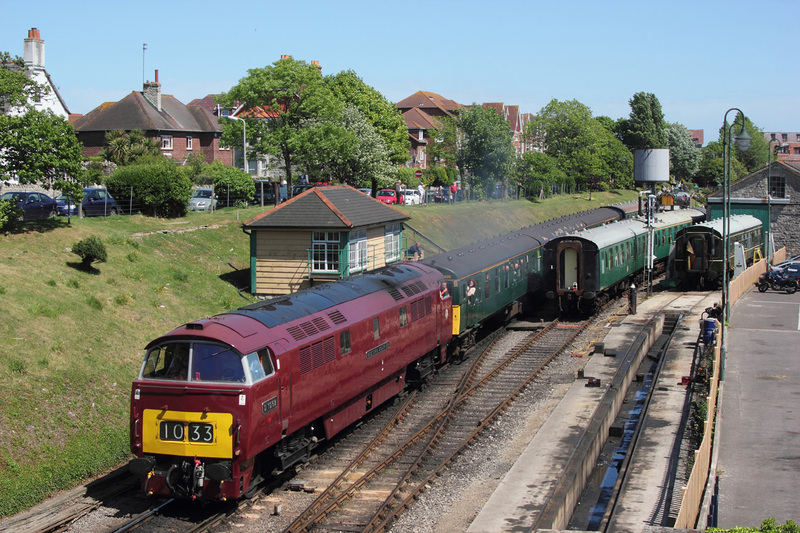 D1062 "Western Courier" departs Swanage station on 1N28,THE 13.50 service to Norden. 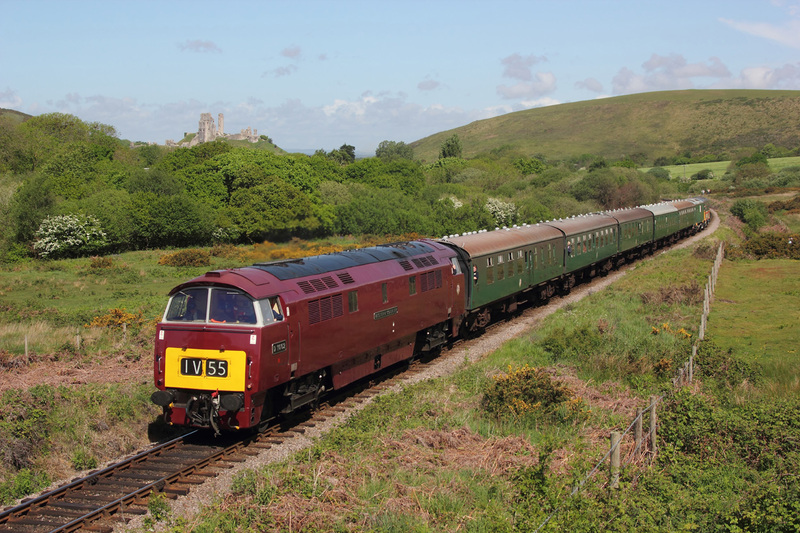 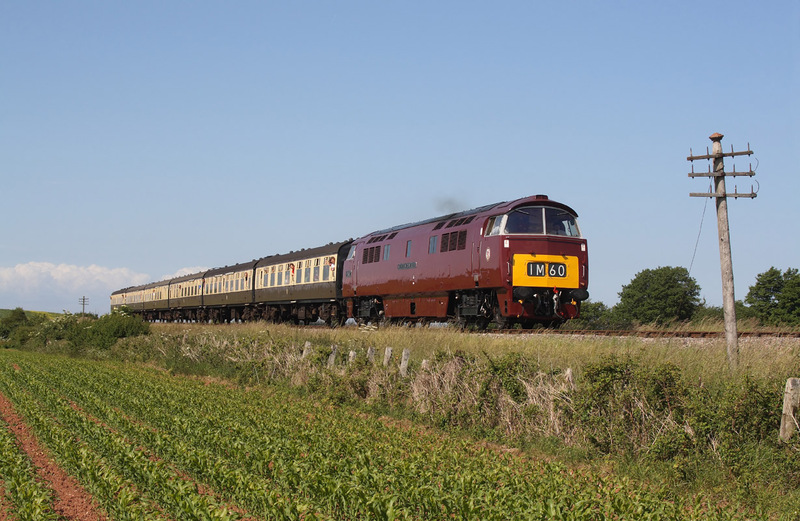 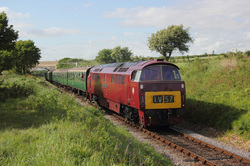 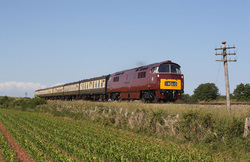 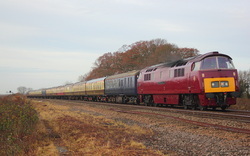 D1062 "Western Courier"passes through Corfe common on 1H01 Norden to Harmans Cross. 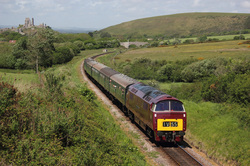 D1062"Western Courier" passing Williton on the 15.40 Minehead to Bishops Lydeard service.